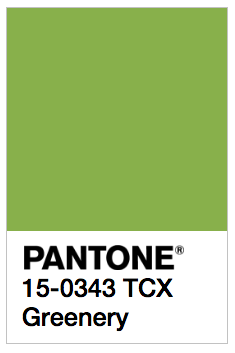 Sherwin Williams does it, Benjamin Moore does it and so does Pantone. A few weeks back, Pantone released their 2017 Color of the Year, Greenery to an audience of color enthusiasts, interior and graphic designers alike. Before the color was announced, I must have been subconsciously channeling green. 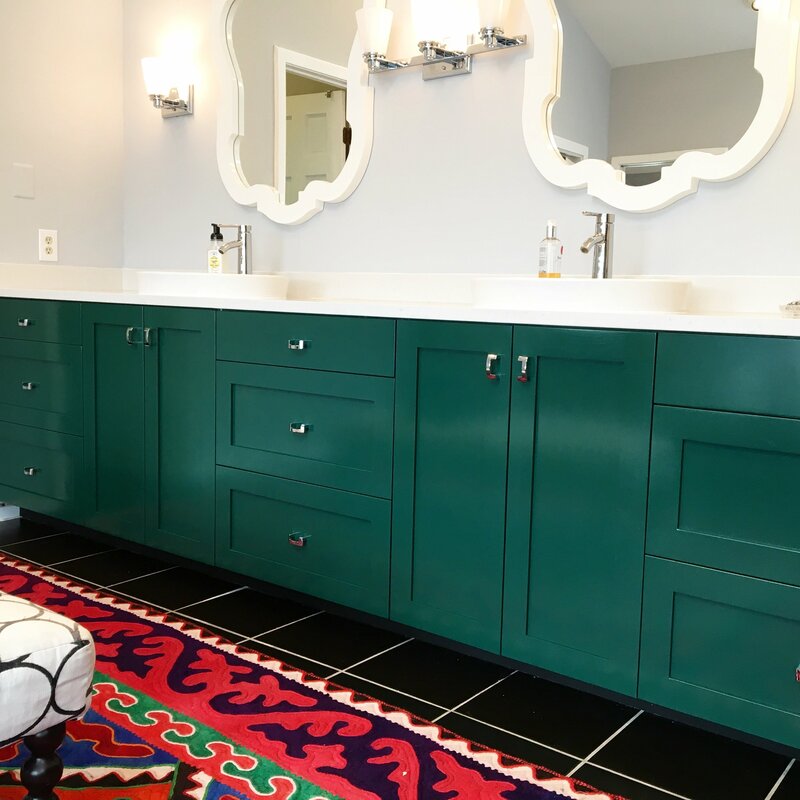 In a recent master bathroom update, I encouraged my clients to boldly paint their cabinets a deep green color (Sherwin Williams 6475 Country Squire). Not quite Greenery but wow, did it make an impact! The color Greenery reflects the global cultural climates and influences many faucets such as architecture/interior design, fashion, and even food. Greenery, is described as a yellow-green hue representing and signifying a new year, fresh start, grass, outdoors, environment Oh, how we need one of those! Could you see yourself using this color in your home, painted on your walls, cabinets or as pillow fabric for your sofa. Do you love this color and not sure how to use it? I’d be more than happy to show you how! Call or email us for a cheeky Green consultation!